The best selling lube in the White Lightening range, Epic Ride is the perfect all-year, all-conditions lube that satisfies the demands of road & off-road riders. 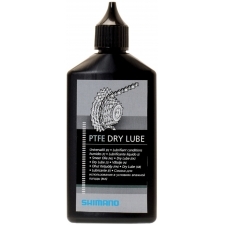 Much cleaner than conventional wet lubes, Epic Ride provides smoother, quieter gear changes as a result. 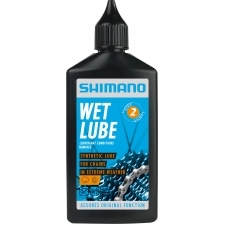 Best of all Epic Ride can be applied to any chain for immediate improvement - just lube & go! 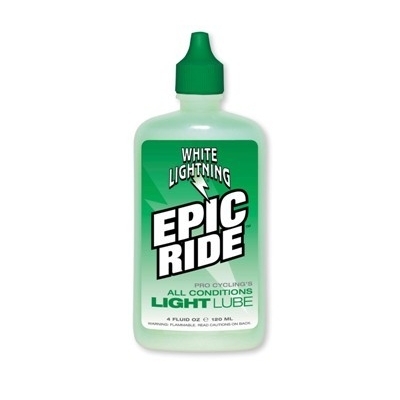 Buy your White Lightening Epic All Condition Lube 4oz Bottle (120ml) from Revel Outdoors.